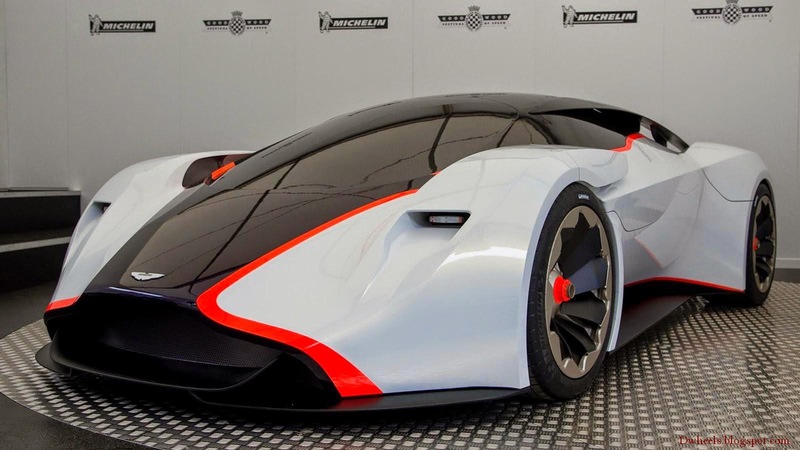 The Aston Martin DP-100 is a new dazzling addition to Gran Turismo 6 . It is developed by the Aston Martin design team, DP-100 Vision Gran Turismo is a new, virtual-only GT racer available for Gran Turismo 6 (GT6™) owners to download in July 2014, following its global launch at the Goodwood Festival of Speed. The Aston martin's Design Director Marek Reichman said that “DP-100 has been an exiting and intensive project for the team here at Gaydon. Vented wheel Arches : Designed in GT racer style, it reduce drag and improve handling at high speed. Swan Wing Doors : It takes the Aston martin sawn-wing design cue to new level as a greater angle of door aperture eases access to the cockpit. Bleaded rear Lamps : DP-100's inovative Led light blade technology shine brighter and enhance it's muscular reap profile. Startes by using many of the same techniques as applied in the development of Aston Martin production sports cars, such as hand sketches and 3D modelling, followed by full realisation in the virtual world, DP-100 provides an exceptional level of detail with a fully functioning suspension system and state-of-the-art electronics.